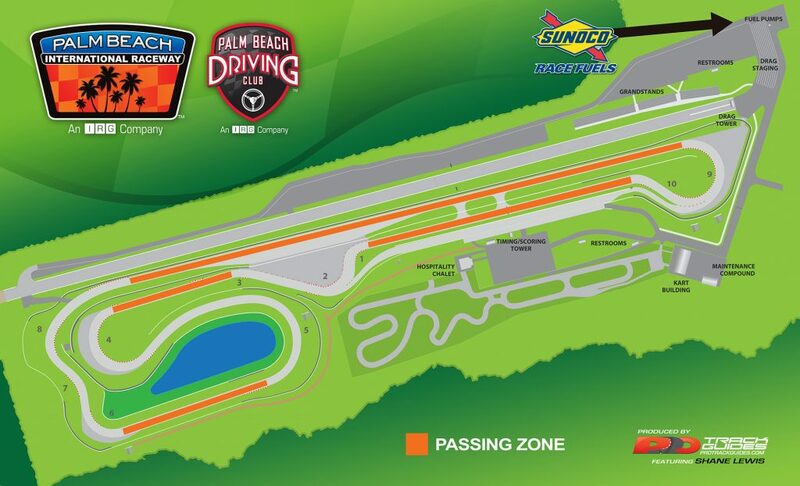 The professional road course at Palm Beach International Raceway is a 2.2-mile, 10-turn circuit that is built to FIA Grade II certification license specifications with LED lighting, allowing the facility to host professional and amateur racing during the day and at night. The premier course hosts more than 350 events annually which range from professional and amateur racing events to manufacturer launches of new automotive products, as well as the Palm Beach Driving Club. The facility features an air-conditioned chalet and an on-site catering staff to service clients and events at the venue.